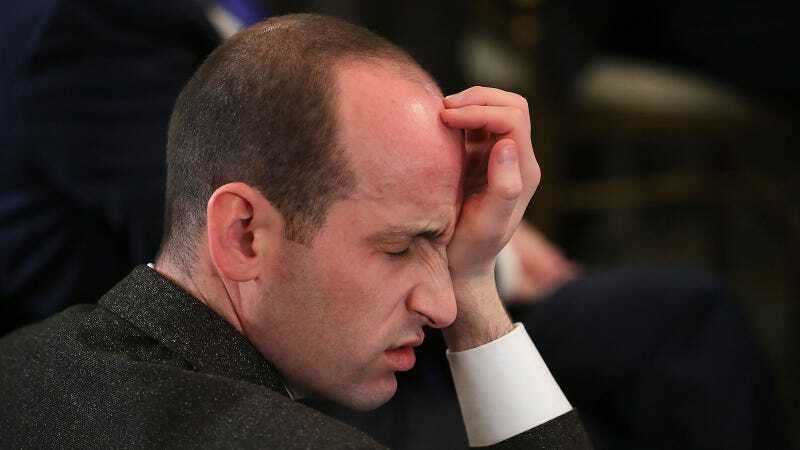 Trump adviser Stephen Miller, a white supremacist with the balding dome of Mr. Burns, is ready to launch his next attack against immigrants: NBC reports that the White House will soon unveil a plan to prevent some visa and green card holders from becoming citizens. The proposal, which has been in the works for months, targets the nearly 20 million immigrants who rely on public assistance programs like the Affordable Care Act, children’s health insurance, or food stamps. U.S. Citizenship and Immigration Services currently denies legal permanent resident status to individuals seen as a “public charge,” but also notes in its policy that “receiving public benefits does not automatically make an individual a public charge.” The Trump administration is moving to change that, it seems. Under the proposed policy, which does not require congressional approval, it would expand the definition of “public charge” to include virtually any immigrant who participates in any type of government program. It’s another way to punish people for being poor, which is something this administration is very good at. The Trump administration is choking off immigration at every point, from asylum seekers to refugees to undocumented immigrants to Deferred Action for Childhood Arrival recipients to visa holders, putting obstacle after obstacle in their path that leaves hundreds of thousands of people in limbo.